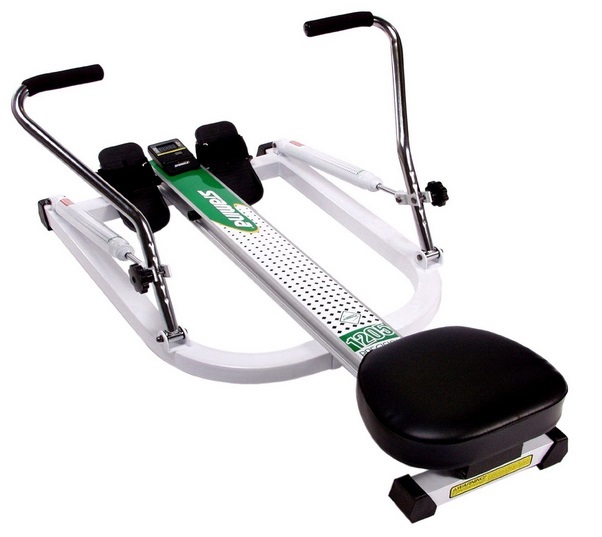 The Stamina 1205 Precision rowing machine cost around $200 (at the time of our review) and is not a bad rower when you take the price into consideration. We're not sure why Stamina decided to use 'precision' in the name as we're at a loss to know where precision comes into it! But that's being too cruel. 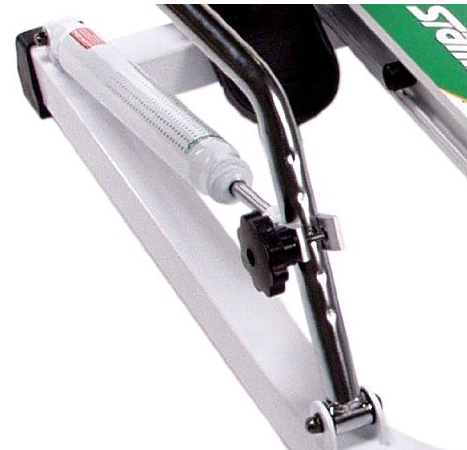 We've said elsewhere on this site that we applaud the efforts of brands to bring fitness in the home at affordable prices, and Stamina are certainly the leader when it comes to budget equipment. 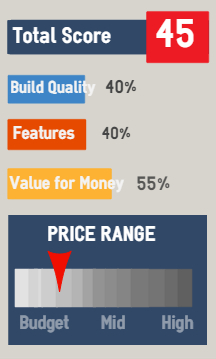 This is the eighth model of theirs we've reviewed here, and four of them are under $200! The rowing position is fine if you're under 5' 9" - if you're taller you will find the rail short and you'll struggle to straighten your legs to complete a full stroke. It's also a very low seat and some might find it difficult to on and off the machine. The foot plates are well positioned the straps hold all but the largest feet securely. The frame and rail are sturdy, solid as a rock to be accurate, so Stamina are happy to guarantee it for three years. No surprise really as it's one solid piece of metal stuck on top of another :0) And for a compact machine it weighs an impressive 47 pounds, that's some 8 pounds heavier than the next model up - the Stamina 1215. But note, all other parts are only guaranteed for three months - this sounds short but around the usual period you'd get for a budget machine. You can read more on warranties and what to expect from the small print here. Now onto the biggest problem with a rower like this. It's a hydraulic resistance model and that usually brings problems of its own. Your muscles need something to work against and a hydraulic machine uses pistons to do this. The problem with using two on either oar is that the oil inside the cylinders can heat up at different rates so you'll often find one side feels harder than the other. Most of the time you may not notice, but when this happens it's not easy to row. You can also find the resistance level drops as the oil gets hotter. Then you have to stop and adjust the resistance by changing the connection on the oar - see right. This looks so last century when compared to the more expensive air and magnetic machines, but if you're looking for a light workout it's manageable - just. However, pistons are notorious for being unreliable and while some users say they found resistance way too light, others said they could hardly shift the oars on even the lower setting. No surprise that it's very basic. But it displays time, stroke count, distance rowed (some don't in this price bracket), calories used and speed. 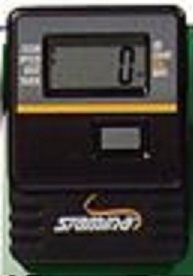 It has the useful scan mode which displays each setting for six seconds before moving onto the next. However, the position is not in the easiest places to read or use. As we've said for every other budget model, think about what you want to achieve with a rowing machine before you go low. The Stamina 1205 is an okay sort of rower for an okay sort of ambition. It won't get you super fit but it could help you shed a few pounds and raise your pulse rate for 20 minutes or less. If you want more, you have to be prepared to spend more, and maybe even a lot more - see our worth a look section below for more recommendations. 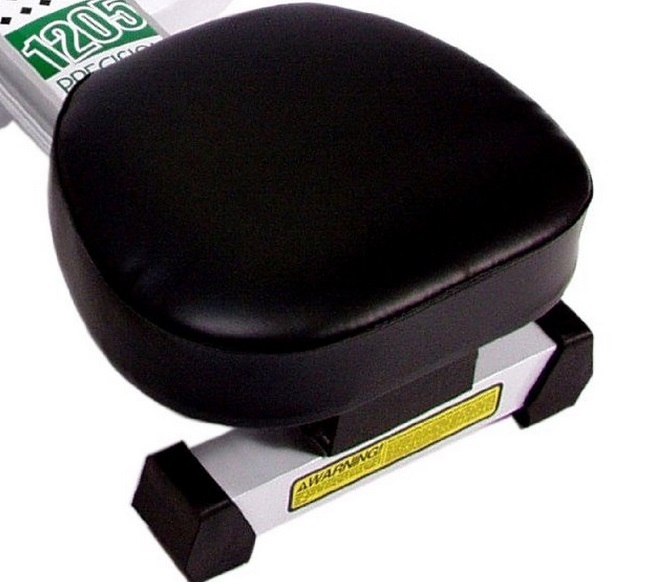 Short rail is unsuitable for anyone over 5' 9"
If the cost is important we think the Stamina 1215 is a slightly better machine for around $50 more. Or you might consider another one of Stamina's budget range, the very low cost Trac Glider. If you're serious about getting fit on a rower you'll need to spend more on a model like the Kettler Favorit or Lifespan RW1000.